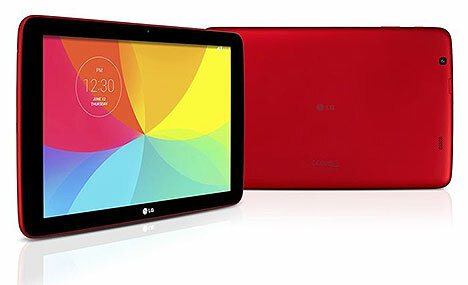 LG have launched the G Pad 10.1 in the US and the UK is due to follow quite quickly. This 10.1″ WXGA tablet features a resolution of 1280 x 800 pixels, a quad-core 1.2GHz Qualcomm Snapdragon processor, 1GB of RAM, 16GB of built-in storage, a microSD card slot, a 1.3 megapixel front camera and a 5 megapixel rear camera. The G Pad 10.1 will arrive with with Android 4.4.2 KitKat, an 8000 mAh battery, wifi and Bluetooth. LG says it will be available in two colours, black and red. At 8.9mm thick and 523g, the LG G Pad 10.1 is about the same thickness as the Nexus 10, but is lighter by about 80g. LG has not yet revealed any pricing for the new tablet. However, rumours are that the Pad will launch in the affordable range of $200-300. With any luck we will have some info soon on their remaining tablet model, the G Pad 8.0.